Need a present for that special birthday? 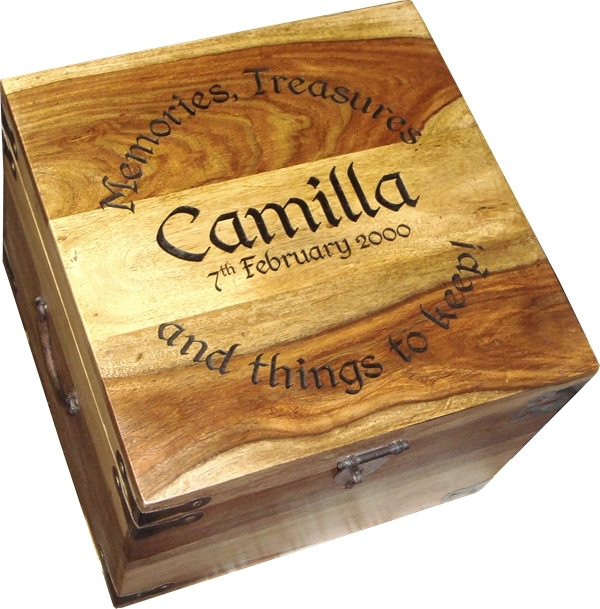 Have a box engraved for a present that will be cherished. Size - Measures 13" x 13" x 10" approx . The wood the boxes is made from is shisham (Dalbergia sissoo) and is also known as Indian rosewood. The sap wood is pale and the heartwood a deep reddish brown.